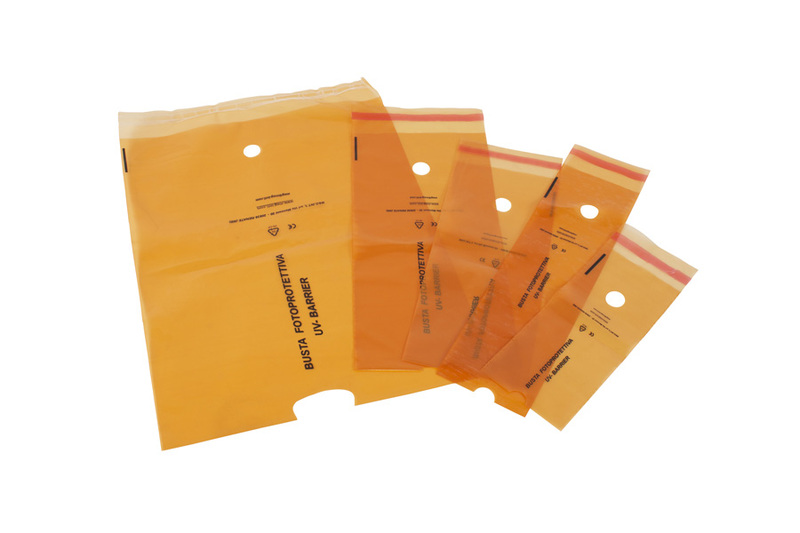 Bags made of 70 micron polyethylene with added master UV-barrier, an optical filter blocking the wavelengths causing the inactivation of photosensitive substances and preparations. The bags passed light transmittance tests at the INNOVHUB Laboratory (Milan Chamber of Commerce) with outstanding results. 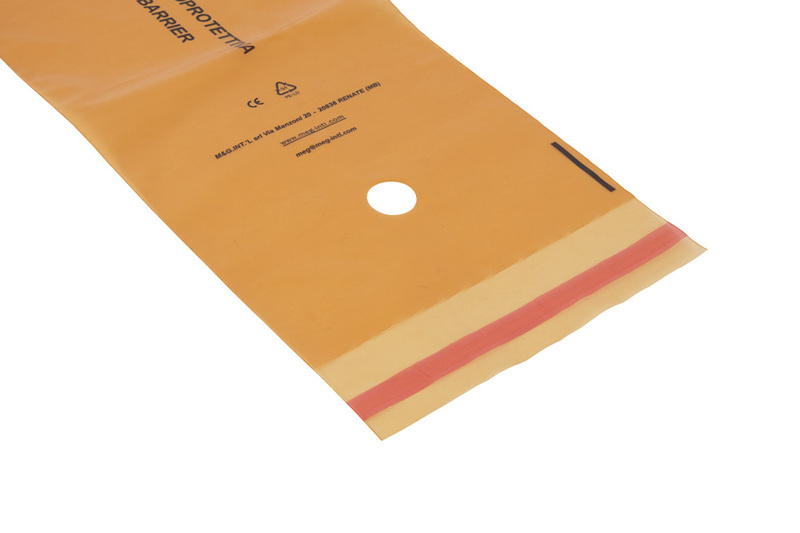 The amber hue makes it possible to check the content of the bags.